The three Baltic States Estonia, Latvia and Lithuania in Northern Europe are bordered to the north by the Gulf of Finland, to the west by the Baltic Sea, and to the southwest by Poland, to the east by the Russian Federation and to the southeast by Belarus. Lithuania, Estonia and Latvia regained its independence from the Soviet Union in 1990 and 1991, respectively, by way what is sometimes called the Singing Revolution. The earliest mentioning of Estonian singing dates back to Saxo Grammaticus' Gesta Danorum (c. 1179). Saxo speaks of Estonian warriors who sang at night while waiting for an epic battle. The Estonian folk music tradition is broadly divided into 2 periods. The older folksongs are also referred to as runic songs, songs in the poetic metre regivärss the tradition shared by all Baltic-Finnic peoples. Runic singing was widespread among Estonians until the 18th century, when it started to be replaced by rhythmic folksongs. Professional Estonian musicians emerged in the late 19th-century at the time of Estonian national awakening. Nowadays the most known Estonian composers are Arvo Pärt and Veljo Tormis. Estonian runo-song (Estonian: regilaul) has been extensively recorded and studied, especially those sung by women. They can come in many forms, including work songs, ballads and epic legends. Much of the early scholarly study of runo-song was done in the 1860s by Friedrich Reinhold Kreutzwald, who used them to compose the Estonian national epic, Kalevipoeg. By the 20th century, though, runo-song had largely disappeared from Estonia, with vibrant traditions existing only in Setumaa and Kihnu. 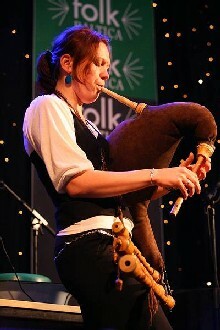 Traditional wind instruments derived from those used by shepherds were once widespread, but are now more rarely played. Other instruments, including the fiddle, zither, concertina and accordion are used to play polka or other dance music. 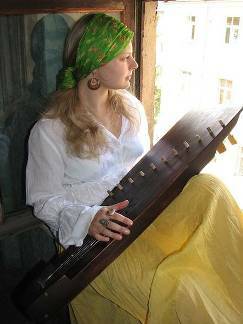 The kantele (Estonian: kannel) is a native instrument that is now more popular among Estonian-Americans than in its homeland. 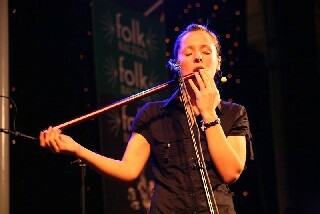 Nevertheless, Estonian kannel musicians include Igor Tõnurist and Tuule Kann. After the Estonian national awakening the first professional Estonian musicians emerged. The most significant was Rudolf Tobias(1873–1918) and Artur Kapp (1878–1952). Other composers followed, such as Mart Saar (1882–1963), Artur Lemba (1885–1963), Heino Eller (1887–1970) and Cyrillus Kreek (1889–1962). In the 1960s, the Soviet government began encouraging folk art from its constituent republics. Local ethnographic bands were formed after Leiko, a choir from Värska, came together in 1964, while a less regionally-distinct form of Estonian folk music was soon promoted, beginning with the formation of Leigarid in 1969. The 1950s and 60s also saw the publication of Herbert Tampere's Eesti rahvalaule viisidega (Estonian folk songs with melodies), a collection of folk songs. The first LP of traditional music, Eesti rahvalaule ja pillilugusid (Estonian folk songs and instrumental pieces) was released in 1967. In the 1980s, a series of festivals took place that helped stimulate increasing agitation for freedom of expression; these included the 1985 conference of CIOFF, the 1986 Viru säru and 1989's Baltica. Estonia also produced a number of classical composers of high repute during the twentieth century, including Rudolf Tobias (1873–1918), Heino Eller (1887–1970), Artur Kapp (1878–1952), Mart Saar (1882–1963), Lepo Sumera (1950–2000), Eduard Tubin (1905–1982) and the living composers mentioned below. These celebrations of traditional life have inspired multiple later composers who modernized traditional music, including Olev Muska and Coralie Joyce, Kirile Loo, Veljo Tormis and the Estonian-Australian choir Kiri-uu. Other modern Estonian musicians include the influential composers René Eespere (1953–), Ester Mägi (1922–), Arvo Pärt (1935–), Urmas Sisask (1960–), Veljo Tormis (1930–) and Erkki-Sven Tüür (1959–). There are several yearly music festivals of Estonia. 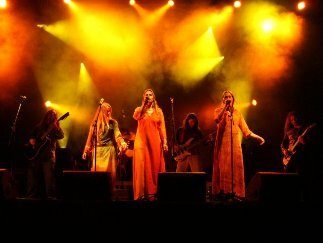 The girl band Vanilla Ninja are one of the best-known Estonians in popular music, having had success in several Central European countries. Kerli has had moderate success in the United States. 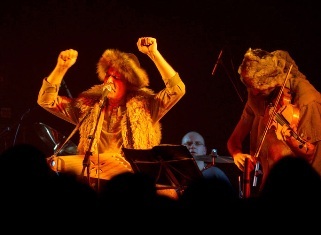 Metsatöll is a folk-metal band combining runo-song and traditional folk instruments with metal. Another Estonian folk metal group is Raud-ants, who performed at the annual minority language music festival Liet-Lavlut with a song in Votic. Traditional Latvian music is often set to traditional poetry called dainas, featuring pre-Christian themes and legends, drone vocal styles and Baltic zithers. 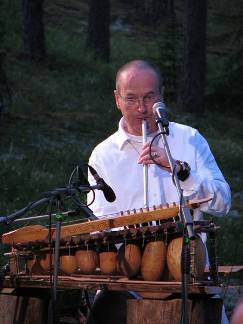 Accompaniment to the village songs is played on various traditional instruments, the most important of which is the kokle, a type of zither related to the Finnish kantele. In the 1970s, artists like Jānis Porikis and Valdis Muktupāvels led a revival in kokle music, which had only survived in the Courland/Kurzeme and Lettgallia/Latgale regions. The Latvian-exile community abroad, especially in the United States, has also kept kokle traditions alive. In the last hundred years a new kind of kokle was developed, with many more strings, halftones levelers and other improvements that expand the capacities of the instrument to play not only modal music but, in other point of view, displeased more traditional musicians. This kind of instrument its called "concert kokle". However, there is currently only one concert kokle maker left, though he is to begin training apprentices with the help of EU grants. During the Soviet occupation, rock music became extremely popular, because it, as well as folk songs, offered a chance to rebel against the local authorities. Imants Kalniņš was the most important composer of the time, and his songs were extremely popular. He also wrote music for the movie originally called Četri balti krekli ('Four White Shirts'), later given the title Elpojiet dziļāk! ('Breathe Deeper! '), which spoke about the need of freedom and was therefore banned. One of the most important social gatherings of the time was the annual Imantdiena ('The Day of Imants (Kalnins)'), forbidden on grounds of interfering with hay-gathering. The tradition continued informally at the composer's house. The songs of Imants Kalniņš were best known as performed by the Menuets group which only played songs by this composer. Most of the members of the group moved on to form another group, Pērkons ('Thunder') later. Pērkons was a symbol of rebellion. They played rock and roll music, using poems mostly written by Māris Melgalvs. Many of those were strongly disapproved by the Soviet authorities, as they implied the ridiculousness of the system. The most famous concert by Pērkons resulted in the destruction of a train compartment by the young people who had attended the concert. This, as well as other events, is portrayed in the movie Vai viegli būt jaunam? ('Is It Easy to Be Young?') by Juris Podnieks. Acts such as Pērkons certainly played an important role in the lives of the youth of the time and were a serious challenge to the Soviet system. Lithuania has a long history of folk, popular and classical musical development. Laments (raudos) are one of the oldest forms of musical poetry. They originate from funeral customs. The first written sources about Lithuanian funeral customs date to the 9th century. Johan Maletius is purported to have written down the first lament in 1551 in a combination of Belarus and Lithuanian languages. The first known example of a lament in the Lithuanian language can be found in a travel diary by J.A.Brand. The development of laments is no different from that of other genres: emerging as part the phenomena of everyday life, they evolve and endure until they vanish when circumstances change. In the 19th and 20th centuries laments grew to resemble songs. Lithuanian folk music belongs to Nordic music branch which is connected with neolithic corded ware culture. In Lithuanian territory meets two musical cultures: stringed (kanklių) and wind instrument cultures. These instrumental cultures probably formed vocal traditions. Lithuanian folk music is archaic, mostly used for ritual purposes, containing elements of pre-Christian faith. There are three ancient styles of singing in Lithuania connected with ethnographical regions: monophony, multi-voiced homophony, heterophony and polyphony. Monophony mostly occurs in southern (Dzūkija), southwest (Suvalkija) and eastern (Aukstaitija) parts of Lithuania. Multi-voiced homophony is spread in whole Lithuania, in western part (Samogitia) it is the most archaic. The rateliai round dances have long been a very important part of Lithuanian folk culture, traditionally performed without instrumental accompaniment. Since the 19th century, however, fiddle, basetle, lamzdeliai and kanklės came to accompany the dances, while modern groups also incorporate bandoneon, accordion, concertina, mandolin, balalaika, clarinet, cornet, guitar and harmonica. During the Soviet era, dance ensembles used box kanklės and a modified clarinet called the birbynės; although the Soviet ensembles were ostensibly folk-based, they were modernized and sanitized and used harmonized and denatured forms of traditional styles. 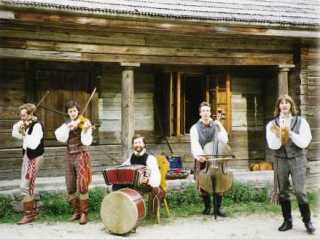 The most important Lithuanian popular folk music ensembles included Skriaudžių kanklės, formed in 1906, and Lietuva. Such ensembles were based on traditional music, but were modernized to be palatable to the masses; the early 20th century also saw the spread of traditional musical plays like The Kupiškėnai Wedding. Some of the most prominent modern village ensembles: Marcinkonys (Varėna dst. ), Žiūrai (Varėna dst. ), Kalviai-Lieponys (Trakai dst. ), Luokė (Telšiai dst. ), Linkava (Linkuva, Pakruojis dst. ), Šeduviai (Šeduva, Radviliškis dst. ), Užušiliai (Biržai dst. ), Lazdiniai-Adutiškis (Švenčionys dst.). Some of the most prominent town folklore groups: Ratilio, Ūla, Jievaras, Poringė (Vilnius), Kupolė (Kaunas), Verpeta (Kaišiadorys), Mėguva (Palanga), Insula (Telšiai), Gastauta (Rokiškis), Kupkiemis (Kupiškis), Levindra (Utena), Sūduviai (Vilkaviškis). Children folk groups: Čiučiuruks (Telšiai), Kukutis (Molėtai), Čirulis (Rokiškis), Antazavė (Zarasai dst.). 1924 saw the first Dainų šventė (literally "Song Fest"), song festivals which were state-supported and helped to keep folk traditions alive; these were held every five years. The 1960s saw people rebelling against these Soviet-controlled traditions, and led a roots revival that soon led to celebrations of Lithuanian identity in festivals and celebrations. Lithuania is home to many folk music festivals. The Dainų šventė song festival is perhaps the most famous; it was first held in 1924, and has continued every five years since. Other major folk festivals include the Skamba skamba kankliai and the Atataria trimitai, both held annually; of historical importance is the Ant marių krantelio, which was held in the 1980s and was the first major festival of its kind. The Baltica International Folklore Festival is held in one of the Baltic states every year. Mikalojus Konstantinas Čiurlionis (September 22 [O.S. September 10] 1875 in Varėna—April 10 [O.S. March 28] 1911 in Pustelnik near Warsaw) was a Lithuanian painter and composer. During his short life he created about 200 pieces of music. His works have had profound influence on modern Lithuanian culture. Čiurlionis studied piano and composition at the Warsaw Conservatory (1894-1899). Later he attended composition lectures at the Leipzig Conservatory (1901-1902). His symphonic poems In the Forest (Miške) and The Sea (Jūra) were performed only posthumously. The Čiurlionis String Quartet performs in Lithuania and abroad. Every several years junior performers from Lithuania and neighbouring countries take part in The Čiurlionis Competition. Osvaldas Balakauskas (born 1937, Miliūnai) Graduated from the Vilnius Pedagogical Institute in 1961, attended Boris Lyatoshinsky's composition class at Kiev Conservatory in 1969. From 1992 to 1994 Balakauskas was ambassador of Lithuania and in 1996 he was awarded with the Lithuanian National Award, the highest artistic and cultural distinction in Lithuania. He is currently head of the Composition Department of the Lithuanian Academy of Music and Theatre. His output consists of symphonies, concertos, chamber and instrumental music. Vytautas Miškinis (born 1954) is a composer and choir director who is very popular in Lithuania and abroad. He has written over 400 secular and about 150 religious works. In Lithuania choral music is very important. Only in Vilnius city there are three choirs laureates at the European Grand Prix for Choral Singing. The Communist government of the Lithuanian SSR criticized rock music, which was considered a decadent and corrupting cultural invasion from the West. In the 1980s, rock bands Foje(Foyer), Antis(duck), and Bix made a big impact in Lithuania. In 1987, 1988 and 1989 Lithuania saw several big rock festivals, such as Roko Maršas(Rock March). Roko Maršas was connected to the ideology of Sąjūdis. From 2000nds on, the most popular band in Lithuania is SKAMP. Happyendless, Jurga and Jazzu became internationally popular and put Lithuania spot on the map for quality music. From Wikipedia, the free encyclopedia [en.wikipedia.org/wiki/Music_of_Estonia, en.wikipedia.org/wiki/Music_of_Latvia, en.wikipedia.org/wiki/Music_of_Lithuania]. Photo Credits: (1) Europe (by FolkWorld); (2)-(4) Estonian, Latvian & Lithianian Flag (unknown); (5)-(6) Ro:toro, (7) Liisi Koikson (by folkBALTICA); (8) Valdis Muktupavels, (9) Laima Jansone (by Irbe Smite, Zane Smite und Ivars Cinkuss); (10) Soviet postage stamp depicting traditional Latvian instruments, (14) stamp depicting traditional Lithuanian instruments, (16) Wikipedia Logo (by Wikipedia); (11) Sutaras, (12) Atalyja, (13) Žalvarinis (from website); (15) GNU Logo (by GNU Project).